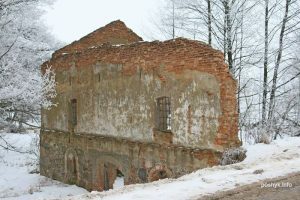 Ruins of a water mill in 1819 in the village of Polonachka. The small village of Polonechka is located tens of kilometers from the highway m1, at the intersection of two roads – H277 and H295, leading to Ishkold (where, incidentally, is one of the oldest churches in Belarus). Just on the road and there is an abandoned mill. The water mill was erected in the early 19th century. 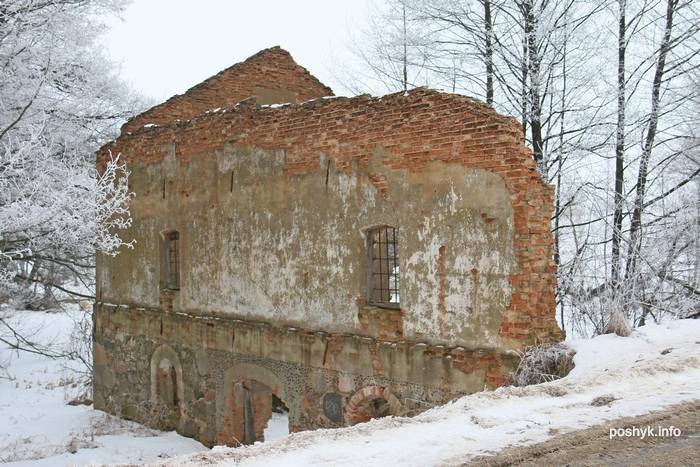 At the base of the foundation there is a stone with figures “1819” – the date when construction began. 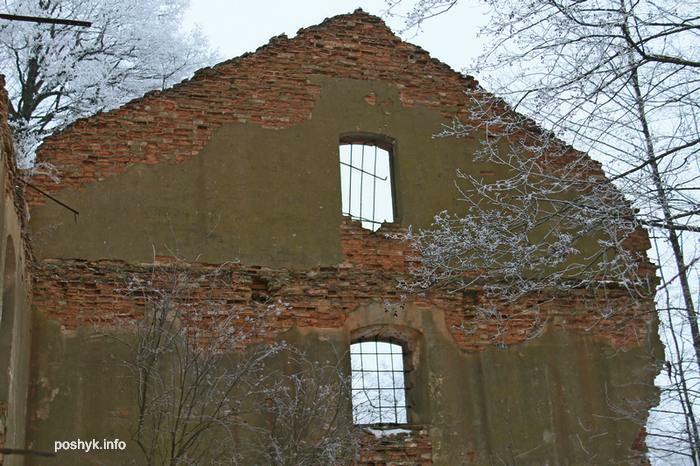 Only 2 walls remained from the mill itself. On some window openings there are still grates. In the village is the Church of St. George, founded in the 18th century.